As wedding dress couture heads (no pun intended) in the direction of ‘dramatic’ this year, it is only obvious that head gear should follow suit. Veils are very much back in vogue, particularly if you’re doing a vintage wedding, or similar – that beautiful long, lace cover of head and back is very appealing. A headdress of any kind not only softens the whole look but it also focuses attention on you as the bride particularly if you’re doing a low-key wedding or wearing a coloured gown. 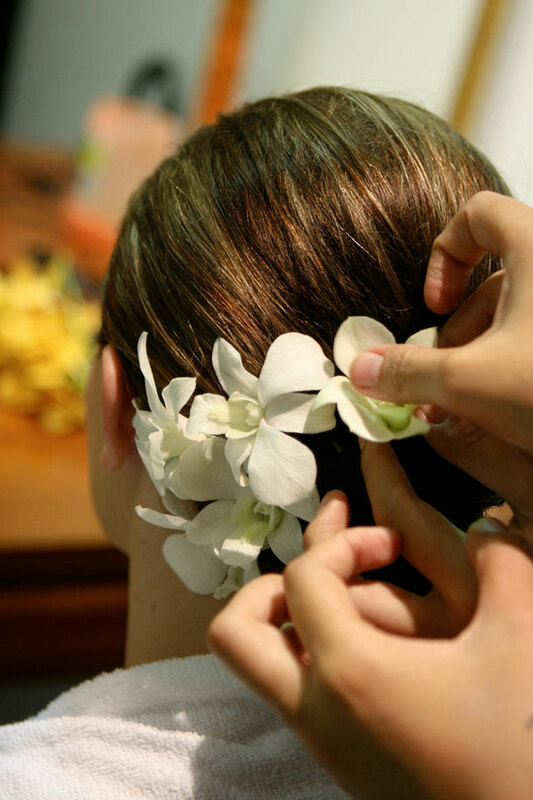 Usually worn on the side of the head, either feathers or feathered flowers are worn with an upswept hairstyle. It softens the look and you can wear it with a veil, preferably a shoulder-length veil with a couple of layers. This will be overkill if your dress is already accessorised, but if going for something plain, like satin, hair combs with attached pearls, flowers or Swarovski crystal (even clips with similar) will add a certain quirky or classic style. Nothing more natural and yet the right flower clipped to the side of your head, or placed on a headband, can make the whole look. You might want to make sure it complements your bouquet. Yes, yes, I know that these belong to the Barbie era, but seriously, a tiara is still the business. Wear it with a messy back knot, or with loose, messy curls – it will look fantastic. These are very ’20s with a twist, and if worn with a sleek back knot can look incredible, particularly if your look is romantic. The idea is that the elastic on which the flat (against the head), floral work is attached, fits beneath the hairline at the back of the head. These are beautiful. They’re the little bits of veil that hang just in front of or over half of your face, and they’re easy to make, if you want to save money. It might date back to the 1940s ‘merry widow’ look but attached to a pillbox, headband or even an elegant top hat, they can look gorgeous. They’re particularly good with shorter hairstyles.